EARLY ADVENTURES: Small footsteps lead to BIG fun! Offers children ages 3-6 a safe, fun and creative first time camp experience. Activities include swim lessons, gym activities, storytelling, arts and crafts, music, dance and special events. NEW DISCOVERIES: Play, Learn and Grow…Adventures Await! A school based camp for ages 4-9. Swim lessons, sports, arts, drama and science. Theme-based weeks include special event Fridays. EXPLORERS: The Best of All Camp Worlds. With Montclair as base camp, campers ages 8-12 take exciting day trips, explore different themes & enjoy the craziness of special events! AFTERNOON ARTS & SCIENCE SPECIALTY CAMPS: Creative Outlets for the Curious. Kids ages 4-7 have fun learning in jam-packed afternoons. Campers choose disciplines like ballet, hip hop, acting and singing, fashion and building. 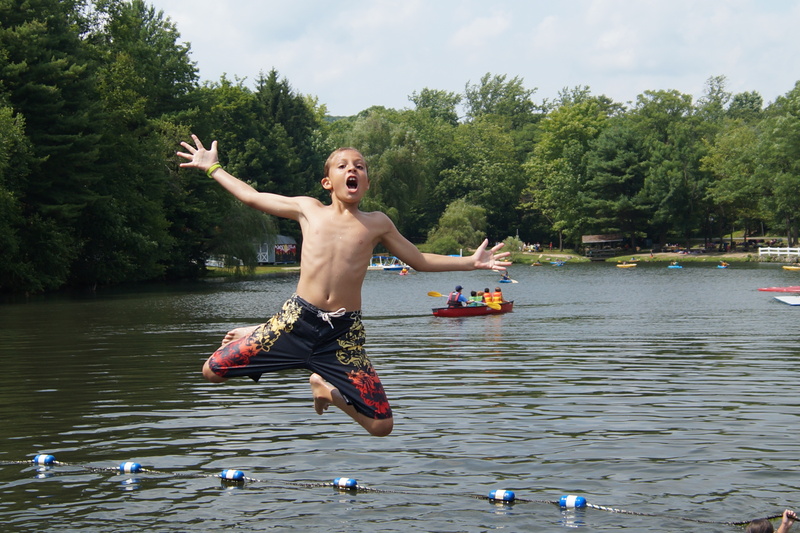 CAMP AT THE LAKE: The Day Camp with the Sleepaway Camp Feel. Beautiful 40 acres provides children ages 5-13 with exciting adventures, cooperative learning and tons of fun! Every Camp activity under the sun! FREE transportation provided. ACADEMIC CAMP EXPERIENCE: Keeping Students ahead of the Educational Curve. A summer education alignment program keeps kids ages 7-10 on track with reading, writing, math skills and includes DEAR (Drop Everything And Read). SUMMER SPARKS: Expanding Young Minds and Talents. Hands on and highly interactive program choices include science, writing, social skills, building, drama, music, and more. Ages 6 - 12. YOUTH BASKETBALL ALL STARS: The Camp with ‘Game’. Campers ages 8-13 improve fundamentals through interactive drills, building offensive, defensive skills, playing in house tournaments and getting in shape. VOYAGERS TEEN CAMP: Reaching New Heights. Teens ages 12-14 participate in leadership workshops, discuss social and cultural awareness, perform community service projects and go on thrilling excursions. SUMMER QUEST LEADERSHIP CAMP: Building Tomorrow’s Leaders Today. Job training and leadership development camp for ages 14-15. Two weeks of fun leadership opportunities and job skills training then placement in the working world.